There is no way to predict the weather in the state of Florida. 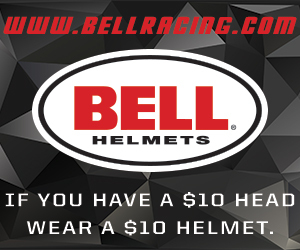 During practice day at the 2018 WKA Daytona KartWeek for the Manufacturers Cup Series on Friday, it was forecasted to rain for much of the day. Thankfully, the rain held off until overnight, leaving a bit of a damp surface when the sun rose over the Daytona International Speedway Saturday morning. After what was supposed to be a foggy morning, the sun broke through for a warm day in Daytona Beach, Florida. A few sprinkles dropped during the Prefinals, but nothing heavy. During the last run of the Prefinals, the clouds opened up with a heavy shower to soak the track. The Road Racing and Dirt Oval were on hold, while the Man. Cup program had a quick red flag before racing resumed. The sun shined throughout the Finals until it tucked behind the high banks and grandstands, with racing wrapping up on the sprint track near the 6pm mark. The IAME Senior category typically provides some exciting racing. On Day 1, things were pretty much set in stone after the early laps. 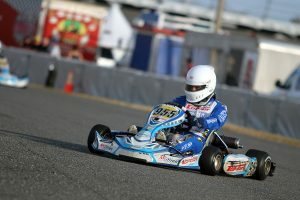 Zane Maloney (KSNA / Kart Republic), making his Senior debut at Daytona after winning in Junior last year, set fast time in the qualifying by edging out Alexander Kardashian (AMK / Top Kart). The two led the field to the green flag, and during the opening lap, contact between them shuffled up the field. Maloney was able to continue and cross the line first, but penalized 20 spots to finish behind Kardashian. This gave Brandon Lemke (FMS / Merlin) the pole position for the final with Brandon Jarsocrak (KSNA / Kart Republic) in second. Lemke led early in the 22-lap Final, until Jarsocrak took over. From there, he ran consistent laps to get away and maintain the lead, scoring his first Daytona win since 2016. Austin McCusker (MDR / Kosmic) won the battle for second over Lemke while Maloney worked his way up to fourth. A pushback bumper penalty dropped him out of the top-five, moving 2018 Junior champion Josh Green (MDR / Kosmic) to fourth with Tahlon Yockel (Kosmic) in fifth. Kardashian dominated the day in the KA100 Senior division. Running double duty, Kardashian extended his 100cc win streak at Daytona to three. Sweeping the Finals last year in Yamaha competition, Alexander swept Day 1 in his KA100 debut. 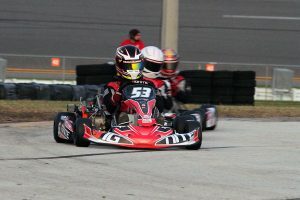 He drove to a three-second advantage over former WKA champion Dakota Pesek (Top Kart) in the Final. Spike Kohlbecker (Margay) was third in his return to karting with Top Kart drivers Abby McLaughlin and Kaden Wharff rounding out the top-five. Connor Zilisch moved up to the Junior ranks during the summer months, competing in Cadet division last year here at Daytona. He celebrated the debut with two wins on Day 1. 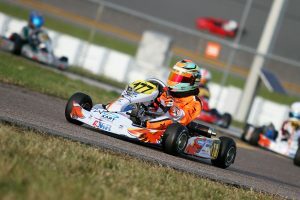 The first came in the new KA100 Junior division, as Zilisch became the inaugural winner. Zilisch (LAK / Tony Kart) was able to outrun top qualifier Tyler Wettengel (KSNA / FA Kart) in both the Prefinal and Final. Donald Whorton II gave the new Nitro Kart chassis a solid result in third with Dylan Christie (MDR / Kosmic) and Logan Adams (Comet / FA Kart) completing the top-five. 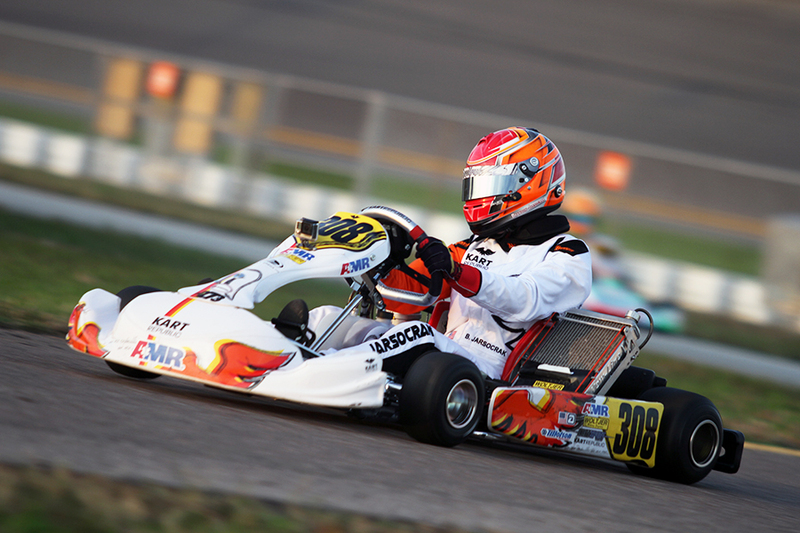 The second came in IAME Junior, with Zilisch holding off Jonathan Portz in both the Prefinal and Final. Portz gave Nitro Kart its best finish in the Junior category, placing runner-up after coming just 74 thousandths short at the line against Zilisch. Top qualifier Brent Crews (KSNA / Kart Republic) was third in his Junior debut with Ian Quinn (Kosmic) fourth in his IAME debut. Annie Rhule (CM / Kart Republic) earned a top-five result in her Junior debut as well. The one class the suffered the tough weather conditions was the Margay Ignite division. Last in the order, the class was on track for the Prefinal when the skies opened and poured a lot of rain down on the circuit. After a red flag, the race resumed with driver taking on the wet track with dry tires as the sun shined down. IndyCar’s Gabby Chaves drove to the race win with Evan Stamer in second. The two were leading the way in the final when Chaves began falling off the pace, suffering a mechanical issue. Stamer assumed the lead and was trailed by Hunter Richardson and Canadian Charlotte Lalonde. Lap traffic caught up Richardson, and he retired early. Lalonde was unable to attempt a pass on Stamer, as the longtime Ignite driver scored the big win. Veteran racer Jeff Jewell qualified toward the front. Contact on the opening lap of the Prefinal dropped him to the tail of the field. Working his way forward in both races, Jewell ended up third ahead of IndyCar’s Zach Veach and IMSA’s James French. Doing laps at his home track in West Quincy, Missouri in the days leading up to the trip to Daytona paid off for Christian Miles in the Mini Swift division. The class sophomore dominated the day, sweeping the action for his first Daytona victory. Miles (Kart Republic) grabbed the Prefinal win by three-seconds, and followed it with a six-second gap in the 20-lap Final. Nikita Johnson (Energy) won the fight for second over Anderson Leonard (Tony Kart) with Mini rookie Max Garcia (Kart Republic) in fourth and Raiden Nicol (Tony Kart) earning fast lap of the race in fifth. 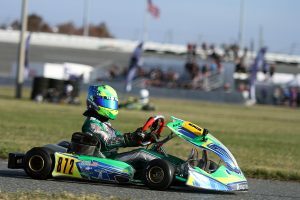 Nitro Kart continues their winning streak in the Briggs 206 Cadet division, as the class becomes a championship category in 2019. Sebastian Ng scored the inaugural victory on Day 1 of competition. 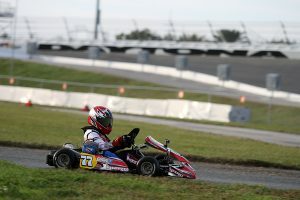 The driver from Panama drove to a two-second advantage with Raiden Nicol (Tony Kart) placing second. Prefinal winner Cameron Weinberg (Kosmic) was third over Kasey Williams (Praga) with Spencer Conrad (Nitro Kart) in fifth. Conrad was able to score a win on the day, earning the checkered flag in Micro Swift. Conrad (Nitro Kart) was able to get away and manage the lap traffic with no issues to score the race win. Behind him was a battle for second with top qualifier Christian Quijano (Parolin) earning the spot over Karsyn Walters (Benik). Ayden Patty (Nitro Kart) and Aryton Grim (Nitro Kart) capped off the top-five. Issues hit Holden Harder in the Kid Kart division, costing him a shot at sweeping the day. Taking advantage was Jacob Schaible, scoring his first series victory. Race Beckman and Kolton Sherwood worked by Harder in the last stages of the race to grab podium positions, with AJ Stoner in fifth.